What could be more fun than throwing open the tail gate to your truck, lighting up a grill and spreading a picnic right outside the gates before your favorite Alabama football game? Tailgating is an American tradition. The origin of the tailgate party has been associated with the harvest times of ancient cultures. Today, it usually consists of fans hanging out with fans of the same team. The fans are usually coworkers, or friends and family. Tailgating is an excellent way to build community. It’s a tradition reminiscent of home and comfort. It’s important for fans to show their team spirit on game day. 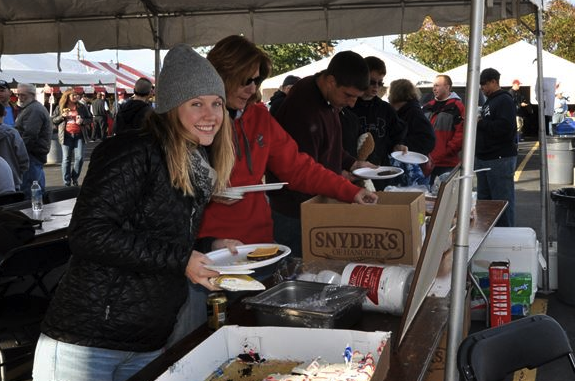 At the tailgate party, one can usually see an ocean of their team’s colors as people love wearing their colors on clothes, hats, and scarves to display team spirit. These days, companies make a variety of items like flags, horns, and pom-poms that fans can use to join into the excitement. Alabama or Auburn? Pick One. Few states boast a football rivalry like the one in the state of Alabama. 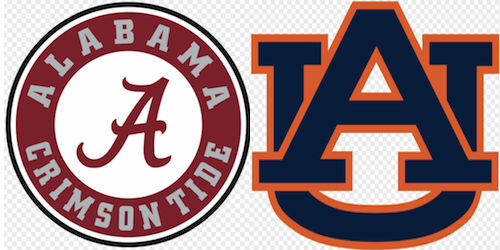 Anyone who lives or has passed through the state of Alabama in their life time has, most likely, at least heard of the great rivalry between the college football teams of the University of Alabama Crimson Tide and Auburn University’s Tigers. One literally cannot travel more than a couple of miles in the state of Alabama without seeing flags flying for one team or the other. As early as 1893 people began paying tribute to either Auburn University’s team or University of Alabama’s team. While both teams have been number one In college football at one time or another. over the years, fans’ loyalty stands whether their team has a winning season or not. Families are often divided by which team members choose to support. Imagine a husband and wife team or partners who are cheering for opposing teams at the Iron Bowl. The Iron Bowl is the yearly game between Alabama and Auburn. I’ve heard of couples even sleeping in separate bedrooms after the game, as one or the other was in the “dog house” for crossing the line in showing their team spirit. I’ve seen brother fighting brother over which team was the best. Fans have even been arrested in the last few years for defacing property at the school of which they weren’t a supporter. There’s a fine line between enthusiastic and overbearing! Don’t be that guy. Be sure to check back soon for new updates!